The Site Designer is a subscription benefit so you only be able to download if you have active subscription. 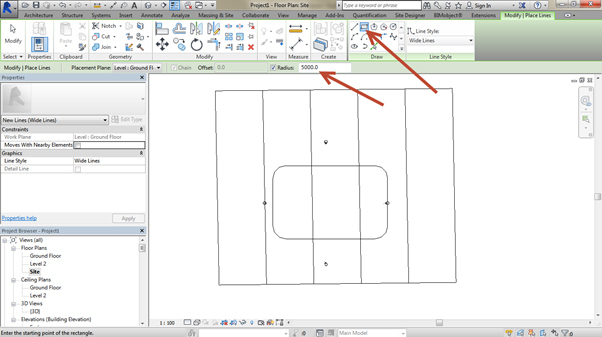 To download the Site Designer which became available in September you’ll need to go to your Autodesk Account (https://accounts.autodesk.com ) (old Subscription Centre) and click on Product Enhancements to download the “Autodesk Site Designer Extension for Revit” and install. To illustrate this feature I’ll just create a simple 4 point site. The 2 left points are at 0 elevation and the two right points are at 5m elevation. 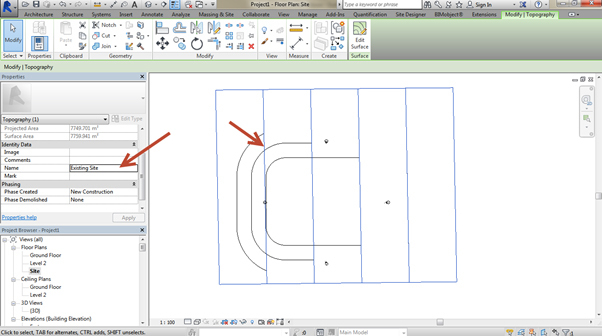 Now draw in the area you want to have flat using Model lines. I drew a rectangle with 5m radii. 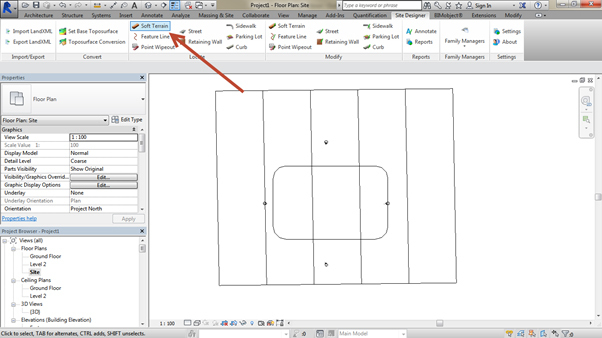 Now go to the Site Designer extension and click Soft Terrain. Set the settings as follows. 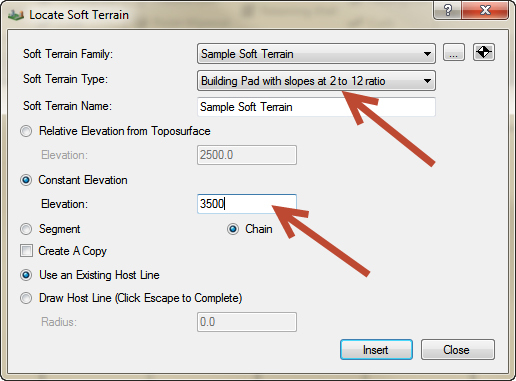 Note the Soft Terrain Type set as: Building Pad with Slopes and Constant Elevation set to 3500 ( the site slopes from 0 to 5000 so this height is in slightly higher than the middle ) and click Insert. 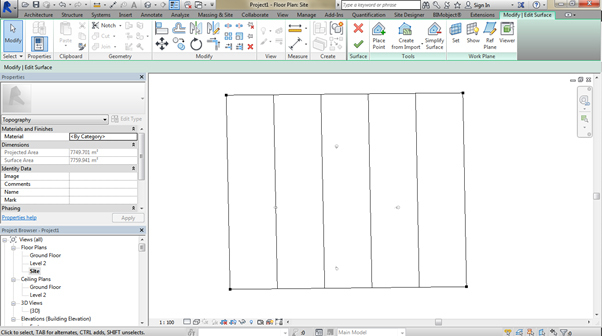 Select one of the lines of the flat site area and a dialogue box will appear. Click NO for no slopes on the inside. The system will work and a second site will be created with the grading on. 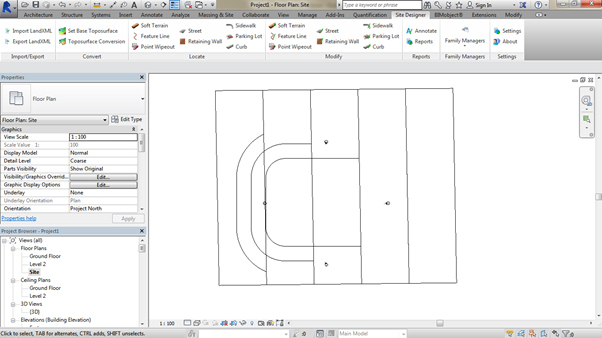 This is great because the original site is untouched and can be used to generate Cut and Fill Topography Schedules. Good practice will be to rename the two sites to be able to distinguish between them to something like “Existing Site” and “Proposed Toposurface” or similar. You’ll notice that the new site was already renamed to “Proposed Toposurface” by the Site Designer so you’ll just need to rename the Existing untouched one. 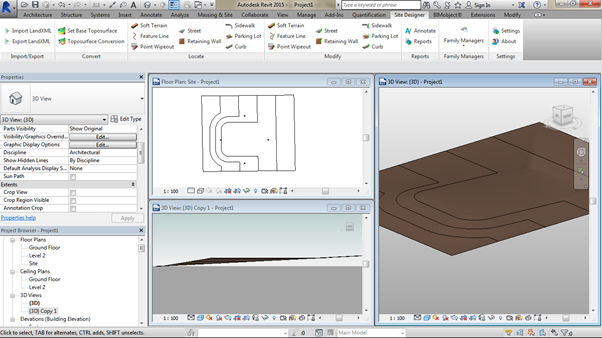 Now Hide the existing site and perhaps view the site in 3D to visualize better.